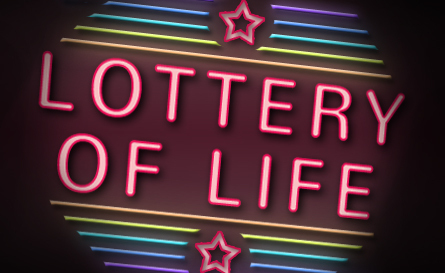 The “lottery of life” sums up the depth of CWO Young’s appreciation to be free once again. As much as Young and the others may have cherished freedom, all would acknowledge they did not fully appreciate freedom until it was gone. True freedom grants us many benefits. Liberated men and women have the freedom to share their political, academic, religious and personal views in a public setting, if desired. Liberated men and women have the freedom to engage in the religion of their choice. Liberated men and women are free to support candidates who best represent their views. Liberated men and women have the freedom to defend themselves in a court of law, when accused of a trespass. The gift of freedom comes with many blessings. Sadly, far too many of us fail to appreciate the blessings and opportunities we have until they are gone. When someone or something takes hold of our life, stealing personal control, we come to realize just how blessed we were. One of the most overlooked blessings people have an opportunity to embrace is a personal relationship with God. Just like freedom, a relationship with God is not a possession, but a privilege. As we slip from this world into eternity, those who failed to embrace the God of the Bible, on His terms, will crave the opportunity as never before. Listen to the words of deep longing expressed by the rich man–verse 24a ,”he cried and said, ‘Father Abraham, have mercy on me,'” verse 24b, “I am tormented in this flame,” verse 27, “I beg you therefore, father.” Jesus shared this chilling parable in hopes of helping some take advantage of the opportunity to get right with God before it is too late. When people talk about eternal punishment, their descriptions tend to make light of its severity. Some people speak of it as a grand place of revelry and partying. Seldom is eternal punishment described in terms of a place of torment, “wailing and gnashing of teeth.” But this is how the Bible describes it. The place of punishment is so terrible the rich man begged Abraham to send a messenger to his father’s house to warn his brothers, “lest they also come to this place of torment.” The rich man wasn’t looking to gather others around him. From the depth of his soul, the rich man longed to keep others from claiming his fate. As wonderful as it must have been for the seven American service members to be released from captivity, their release pales in comparison to the freedom gained by embracing eternal life. Liberation from sin, and the joy of a personal relationship with God, is truly winning the lottery of life–eternal life! Through disobedience to God, Adam, the father of all humanity, established a sin nature that would make his offspring captive to sin. From that point on, the inclination to sin has been the guiding force that dominates man’s heart from womb to grave. The Bible teaches us that only Christ’s sacrificial death and shedding of blood on the cross can overcome the power of sin over men. Trust in Christ, and His finished work on the cross, is man’s only means of avoiding eternal punishment. Christ’s sacrifice is a full and complete payment, once and for all. When all is said and done, Christ is either the King of kings, or the King of lies. Those who have embraced Him have either grasped the truth, or have grasped a lie. If we have grasped a lie, the Apostle Paul says in 1 Corinthians 15:16-19, “For if the dead do not rise, then Christ is not risen. 17 And if Christ is not risen, your faith is futile; you are still in your sins! 18 Then also those who have fallen asleep in Christ have perished. 19 If in this life only we have hope in Christ, we are of all men the most pitiable.” When it comes to the claims of Christ, they are either one hundred percent true or one hundred percent false. Jesus left no middle ground. Is following Christ a gamble? No! Prior to His coming, repeatedly the Old Testament speaks of His coming. While here on earth, thousands of people repeatedly witnessed His miraculous ministry. After His death, several hundred people witnessed His resurrection. After His ascension, Christ took a handful of defeated men and established His Church throughout the world. Faith in Christ is no gamble–rejecting Him is! Have you experienced the joy of winning the lottery of life, spiritual liberation? If not, you can do so right now in the quietness of your heart. Go to the Lord in prayer, acknowledging to Him that you are a sinner, in need of spiritual healing. Accept by faith the punishment He bore on the cross in your place. Take hold of the sacrificial offering of His shed blood on the cross as a permanent covering for sins. Accept His death on the cross and miraculous resurrection from the dead as the means by which Christ defeated sin and death, once and for all. Before Him commit yourself to turn from your sin to a life of following Him as your glorious Savior. The “lottery of life” is yours for the taking. Go to the Lord in prayer and embrace the lottery of eternal life in and through Christ Jesus our Lord.